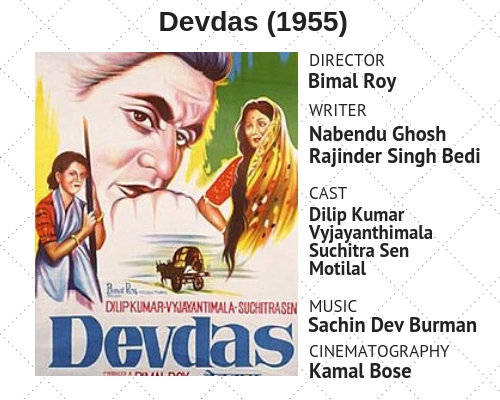 Of the 16 adaptations of Sarat Chandra’s novella, the most iconic remains director Bimal Roy’s film on Devdas. Bengali litterateur Sarat Chandra Chattopadhyay was not very happy with one of his works. He was embarrassed that his writing in the eponymous novella Devdas (1917) lacked maturity. He would most certainly have not known at the time that it was going to be among the most adapted literary works in Indian cinema, across languages and industries. Of the novella’s many adaptations, at least 16 official at last count, the most iconic remains director Bimal Roy’s film of the same name. Roy’s Devdas (1955), with the haunting performance of actor Dilip Kumar, came to define the character-with several later stars trying their hand at playing the tragic hero, including Amitabh Bachchan (Muqaddar Ka Sikandar) and Shah Rukh Khan (Devdas). 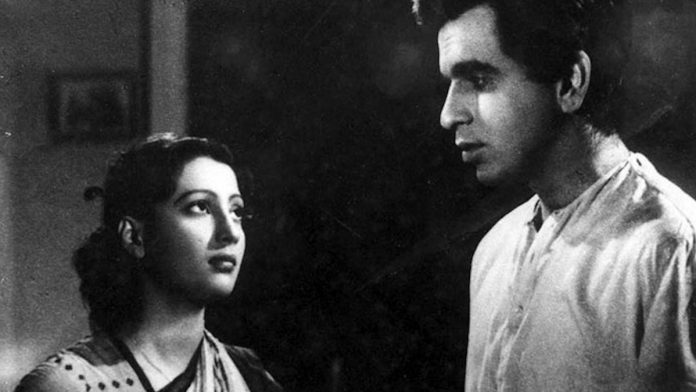 The film also marked the Hindi debut of Suchitra Sen, who went on to become the ‘Mahanayika’ of Bengali cinema. Sen’s fifth death anniversary was observed Thursday. At the heart of Roy’s muted melodrama is his titular protagonist’s love of pain. His inability to deal with his angst is existential in nature. In the hands of a lesser filmmaker, and there have been many, this story about a ‘weepy’ man could become indulgent. But Roy empathises with Devdas at a deeper level and manages to humanise what is fundamentally an unlikeable character. Set in a village in Bengal, Devdas features the kid of a local zamindar as the protagonist. His closest friend is Paro. They are childhood sweethearts. Unlike Paro, Devdas Mukherjee isn’t very bright. He’s also, like any other pampered kid, naughty. His zamindar father doesn’t approve of the spoilt boy so he sends Devdas to Calcutta to live with his relative and mend his ways. This marks the first step towards the self-destruction of Devdas. Of all the cinematic retellings of Devdas, this is the only version that devotes an extended sequence to portray the childhood of the doomed lovers, a marker of Roy’s largely faithful adaptation. Upon Devdas’s return, he finds an assertive Paro (Sen) who asks him to honour his relationship with her. But Devdas is too meek. After his parents show disapproval over Paro’s ‘lower Brahmin caste’, Devdas moves back to the city, leaving her behind. He then writes a letter to her saying that he thinks of her as a friend. He rues the letter when it’s sent but there is little for him to do to control the damage. This indecision is the fundamental trait of Devdas, a man who doesn’t know what he wants. There are shades of tragic Shakespearean heroes in it, but Sarat Chandra’s work is deeply rooted in Indian ethos-part of what makes the character appealing to artists across the country. The women in Devdas, Paro and Chandamukhi (Vyjayanthimala), however, are firmer-even determined-in what they seek. Chandramukhi, the courtesan whose devotion to Devdas is resonant of the legend of Meera Bai, gives all of herself to him. Ironically, the film’s writer, Nabendu Ghosh, once revealed that he was not sure of the casting of Vyjayanthimala as Chandramukhi, a role no leading actor of the time was willing to take up. Hurt with his selfishness, Paro punishes Devdas by marrying a much older, wealthy zamindar. These lines by novelist and screenwriter Rajinder Singh Bedi reveal where the anguish of Devdas comes from. Filmmaker Sanjay Leela Bhansali used a version of the lines in his 2002 adaptation of the novella. This dialogue of Devdas was later released in a book titled The Dialogue of Devdas: Bimal Roy’s Immortal Classic, with an introduction and translation by Nasreen Munni Kabir. Devdas isn’t just a novella in India anymore. It’s not even an archetype. It’s a personality type, as people often mock it to be. Several pedigreed filmmakers, like Bhansali, Anurag Kashyap and Sudhir Mishra, among others, have tried to bring a fresh vision to Devdas. But Roy’s version is the only one that stayed true to the novella. In a world grappling with ideas of gender, the place of a work in which the protagonists find themselves unable to rebel against societal pressures can be questioned. Sarat Chandra himself did so. But Roy, who was the cinematographer for the 1935 version by filmmaker P.C. Barua and deeply invested in the melancholic tale, had no doubt about its relevance. In the film’s last sequence, Devdas travels to the village of Paro’s marital home. As he makes his way to her house one last time, the night descends on him with its full might. Before dawn, Paro and Devdas part again, this time with finality. Roy ensures dignity in these final moments of a doomed love. What Bimal Rot made was the true and most authentic version of Sarat Chandra classic. Sanjay Leela Bhansali misused the name of Sarat Chandra. He murdered the book. He should not have given the writer’s name as Sarat Chandra. The writer was arrogant Sanjay Leela Bhansali.